Yes, it's going to be many, many years before astronauts -- let alone average Earthlings like us -- will walk the surface of Mars. But now, we can at least have a better idea of what that might look like, thanks to a fascinating, insanely detailed map of the Red Planet's terrain. And it's designed to look just like a map from our blueberry home planet. 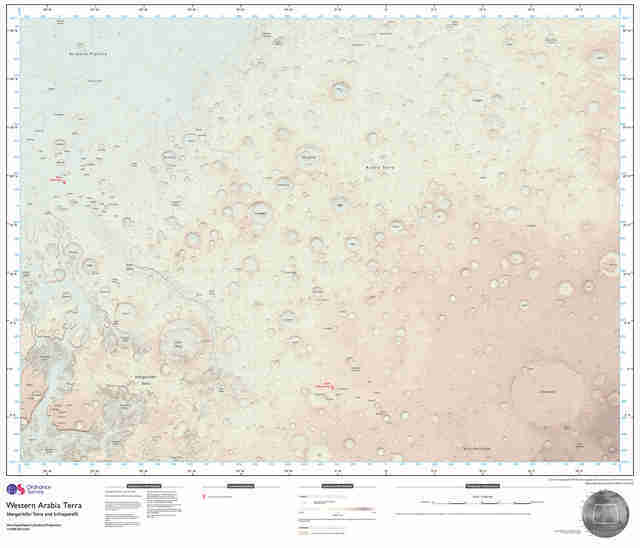 Britain's Ordnance Survey said it was able to illustrate the Martian landscape with such detail thanks to open data from NASA. The map covers 3672x2721km (2282x1691 miles) of land on the plane's Western Arabia Terra region (about 7% of Mars's total surface) and as you can imagine, the full size version is enormous. 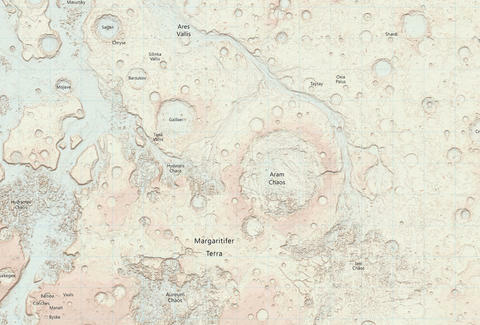 In a blog post, OS said the map was created to see if could be useful for future space missions to Mars and even includes the landing sites of the Pathfinder and Opportunity rovers. Hell, maybe someday it'll be folded up in the glovebox of your Martian off-roader. Tony Merevick is Cities News Editor at Thrillist and would love to visit Mars, you know, if and when it becomes possible and easy. Send news tips to news@thrillist.com and follow him on Twitter @tonymerevick.